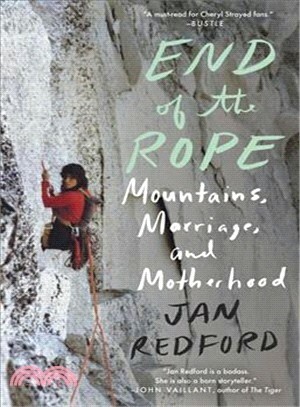 In this funny and gritty debut memoir, praised by Outside Magazine, Sierra, Alpinist>/i>, Bustle, and more, Jan Redford grows from a reckless rock climber to a mother who fights to win back her future. Jan finally finds the love of her life, an affable Rockies climber. When he is killed in an avalanche in Alaska, a grieving Jan finds comfort in the arms of another extreme alpinist. Before long, they are married, with a baby on the way. While her husband works as a logger, Jan tackles the traditional role of wife and mother. But soon, she pursues her own dream, one that pits her against her husband. End of the Rope is Jan's telling of heart-stopping adventures, from being rescued off El Capitan to leading a group of bumbling cadets across a glacier. It is her laughter-filled memoir of friendships with women in that masculine world. Most moving, this is the story of her struggle to make her own way in the mountains and in life. To lead, not follow. JAN REDFORD lives with her family in Squamish, British Columbia, where she mountain bikes, trail runs, climbs, and skis. Her stories, articles, and personal essays have been published in The Globe and Mail, National Post, Mountain Life, Explore and various anthologies. At midlife, she switched careers from elementary school teacher to writer, and now holds a master's degree in creative writing.